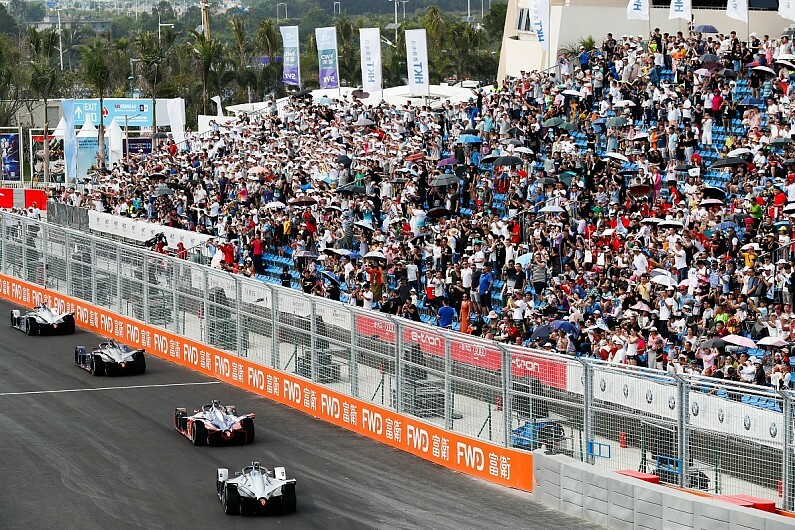 ABB FIA Formula E is looking at ways to bring back energy management-limited races in a bid to reduce on-track clashes between drivers, according to sporting director Frederic Espinos. Incidents between drivers have increased since the introduction of the Gen2 car, which includes battery and powertrain performance steps that have increased the time that the drivers spend pushing flatout during races. This is a particular problem during races that are suspended or interrupted following contact or crashes. As a result, moves that previously would have been simpler due to variances in powertrain efficiency levels have been made more complex, and contact has increased when they are not pulled off successfully. This has led to several high-profile clashes and criticism of the consistency of penalties in the 2019/20 campaign, with Audi motorsport boss Dieter Gass writing on his Facebook page that FE "must be careful not to diverge into a demolition derby". "I totally agree with Dieter Gass," Espinos told Autosport. "We want fair races, nice overtaking and nice manoeuvres. "It's true that with the first generation of cars as soon as you were touching, the cars were destroyed. "We worked to have a car that is more robust and maybe this car is too robust. "But yeah it's good to have a great show, overtaking and fights on track. That's what we want, but it's important that it's fair. "I think the drivers will also calm down, because everything is so close [in the championship] and now it's money time. They can't lose anything. "It's also linked to their behaviour on track. They will have to find the balance between taking risk or not." "This is also linked to the energy management and I think we need to bring back more energy management. "The beginning of the race in Sanya was really interesting, because they were struggling with the energy. "This is how [Jean-Eric] Vergne managed to overtake [Oliver] Rowland [for the lead], because he had to manage his energy. "For us, energy management should be the heart of the category. Maybe we have to work to put back energy management as the key factor. "There are a lot of solutions we are working on and we are working together with the FIA." Espinos added that FE is looking at various ways to make sure energy management again becomes the defining factor in races, but explained that the series is "never in favour of changing the rules during the season". "The to-do list is a bit long," he said. "We could play with the length of the races. We have a lot of safety-cars and we could try to stop the clock during a neutralisation. "The goal is to analyse everything and to discuss with the FIA. The FIA is doing the technical and sporting regulations. "I prefer to do the analysis and then we come up with a strong solution."